Fantastic day at Drumchapel High School on Sunday 14th January, where 10 of our junior members qualified to the Scottish Schools Finals in their respective age category. Martin Johnson representing Auchenharvie Academy won the u16 Boys beating Glasgow’s Zaid Khalid in final. Holly McNamara representing Ardrossan Academy won the u14 girls event where fellow club member and Largs Academy pupil Jess Hogg reached the semi finals and also qualfied for the finals. 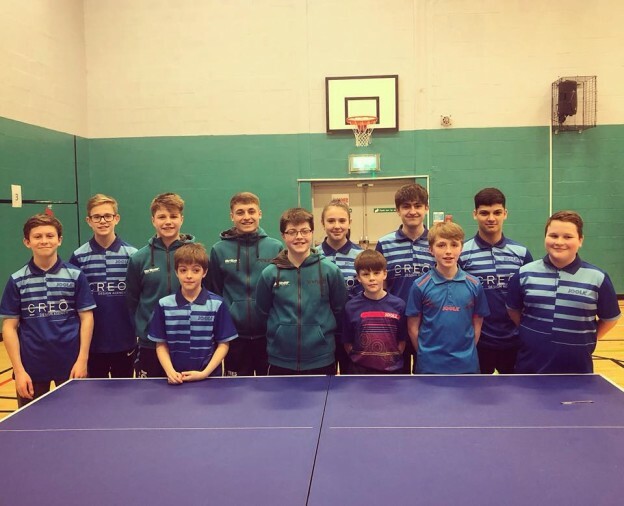 It was an all North Ayrshire affair in the u14 boys event, where three out of four players qualifying from the West of Scotland region where NATTC players. Jamie Johnson won the event, with Patric Hollywood beaten finalist and Chad Duncan losing out in semi final. Well done to all players listed below who qualified. This entry was posted in Latest News on 23rd January 2018 by Chris Main.